Manchester City contrived a second-half upturn to flip the script at the Etihad Stadium, condemning a frustrated Arsenal to successive league losses. 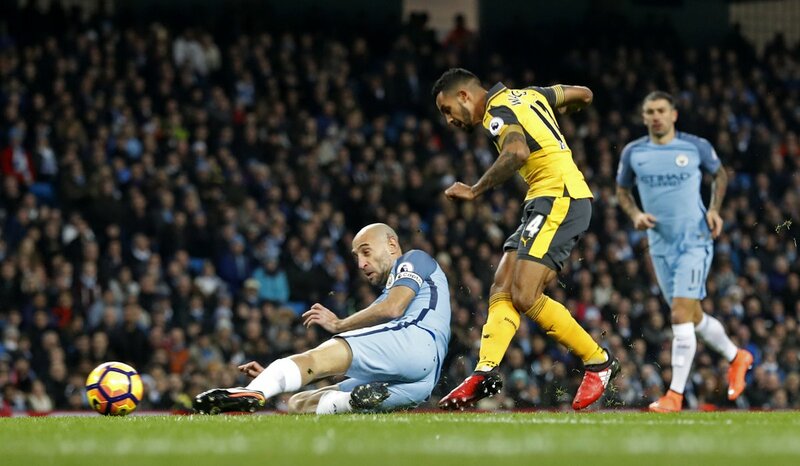 Theo Walcott continued his scoring form with a goal after 5 minutes, but it was not to be as second-half goals from Sané and Sterling helped to lift spirits in North West England over the festive period. Arsenal would get off to a stunning start through Theo Walcott, a mere 5 minutes from kick-off, who netted on their first attack. Sánchez plucked out his teammate with an excellent pass, allowing him to surge from Otamendi and net it past the keeper. That lingering of sorrow around the Etihad Stadium could have been only slight had Raheem Sterlinggmade good on a gaping chance later on. 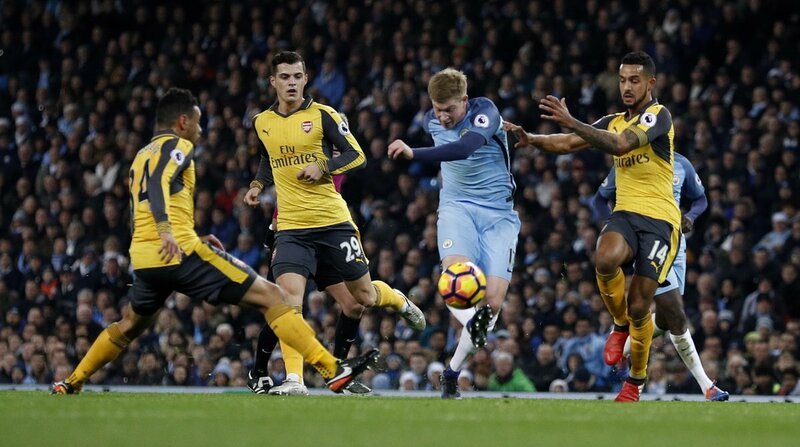 Kevin De Bruyne's cross flew towards the Englishman, where he headed wide from close range. Some intense tackles later and the Gunners would go again. Özil linked up beautifully with Walcott to make up some yards on the way, but the eventual product was snuffed out before any further danger could amass. 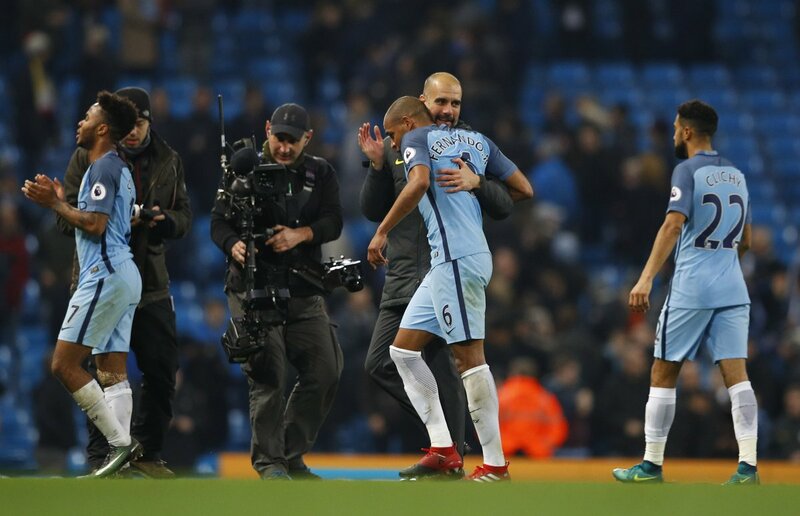 Pep Guardiola could certainly feel the bad taste in his mouth with the hosts looking somewhat inert, even if they had a large bulk of possession towards the half-hour mark. De Bruyne blasted over, while Sterling's shot was blocked - and then a more brighter spell ended with a denial of David Silva. Other than that, the North Londoners looked comfortable, and close to being in their element. City would even look desperate at times with a soft penalty appeal from De Bruyne. Towards the tail-end of the half, Bellerin scuffed his lines to ruin what was a promising build-up. At the half-time whistle, disappointment engulfed all those in sky blue - looking empty of ideas. All of Guardiola's head-scratching over the fifteen-minute interval would ultimately cultivate the equaliser through Leroy Sané. He had switched wings to start the second period, and reaped the rewards when Silva found him to run through and roll it past Cech. 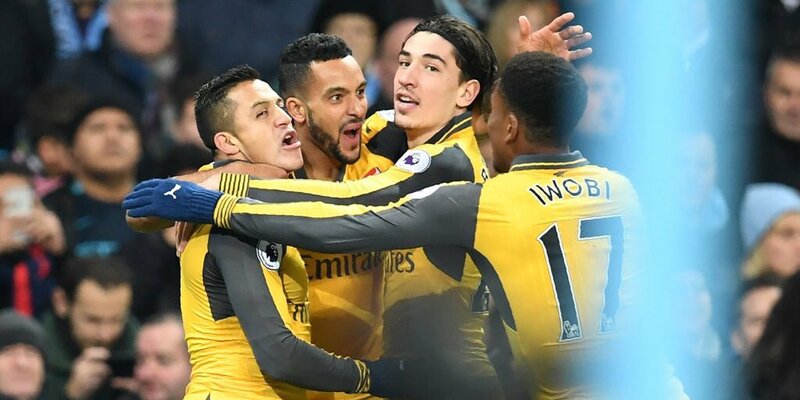 That goal kick started a drastic change of complexion to the entire contest, where Arsenal were now drenched in doubt while the Citizens upped the ante with new-found momentum. 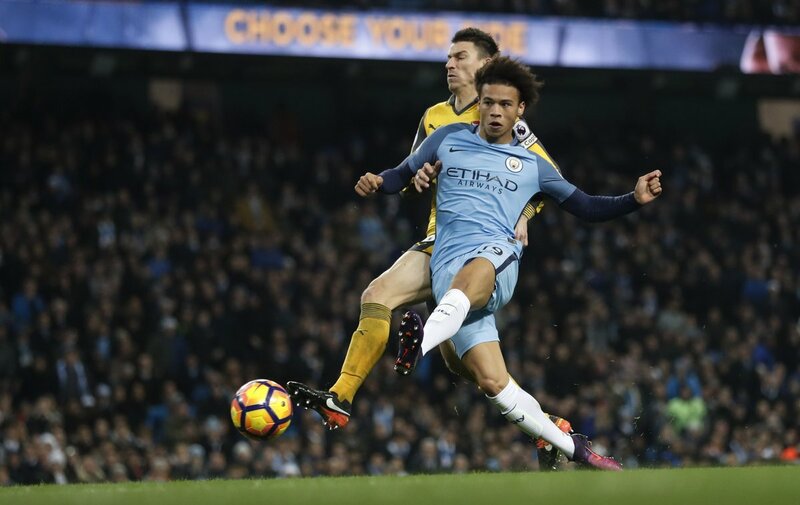 An electric counter-attack saw Sané skip through into the box but was denied as Cech bundled to make the save. After continuing to chip away, the lead change was soon inevitable. 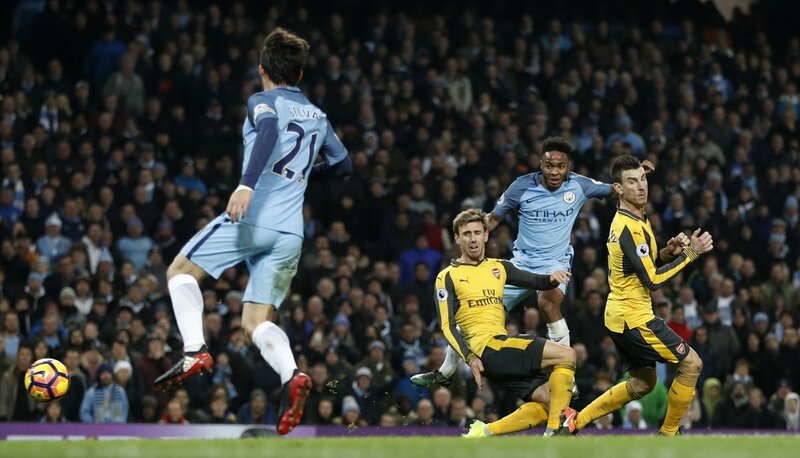 Raheem Sterling turned that into reality when he cut into the area and snuck it past the near post with thunderous pace. They could have doubled the deficit 5 minutes later when Navas' deflected cross crashed off the post. Crashing too were the visitors, who showed signs of a fight back but nothing substantial enough to swing the tie back in their favour. City would tease, and Arsenal would keep trying into the depths of stoppage time, but when all was said and done, Christmas was looking very different for the two sides: City now charged with optimism after a showing of great character, while Arsenal are once again losing sleep over the question: are the wheels about to come off again?